As we age, our hair changes. Everything from the texture, thickness, style and of course colour ages with us, meaning by the time you hit your early 40s, you could be battling a completely different hair type than what you had in your 20s. From split ends, frizziness, dryness, thinning and (the most obvious one) grey strands, ageing hair can be confusing and frustrating. So we turned to the experts to find out their best anti-ageing hair tips. "Now more than ever, you can find inspiration for hairstyles for every age online. There are so many older celebrities—from Meryl Streep and Helen Mirren to younger women like Kate Winslet and Penelope Cruz—that you are sure to find a style that will suit you and your lifestyle," says Adam Reed, co-founder of Percy & Reed and GHD global brand ambassador. "The key to getting the style you want is to bring pictures to your appointment—both what you like and what you don't like. This way, you can be really clear about what you want. Don't concentrate on the technical names for things. Instead, describe your lifestyle and desired look. Go to a good salon and listen to their advice around your hair type. Go in with an idea of a look but also with an open mind. The style you want to achieve may not work with your hair and lifestyle, but they could suggest something that will," says Reed. "People often worry about going shorter feeling like they want to stay away from the 'set' look of their parents' generation. Pixie cuts, shorter bobs and fringes can be really flattering framing the face, enhancing bone structure and drawing attention to your best features" says Paul Percival, co-founder of Percy & Reed. "If you invest in a good haircut, you will really see the difference. 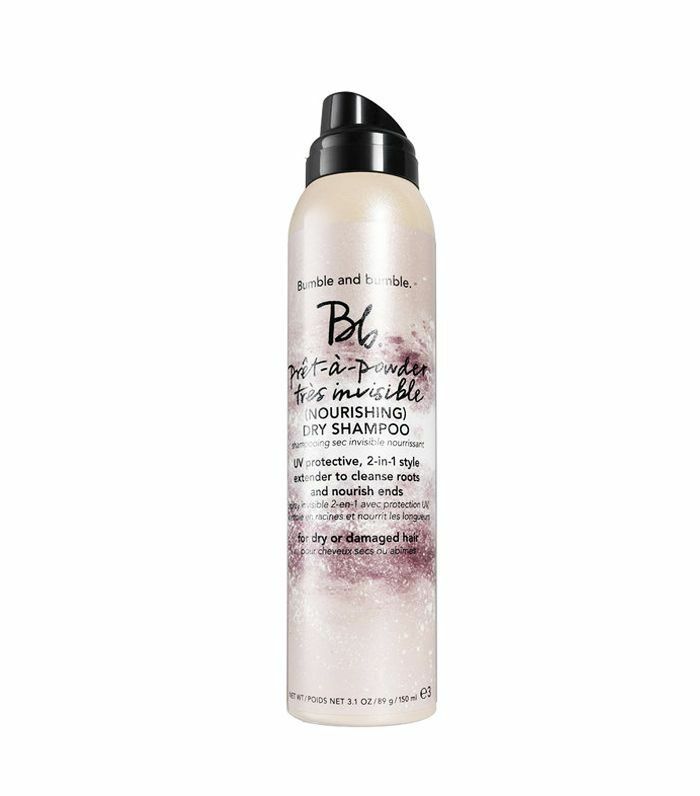 Dry shampoos are essential for shorter styles, as you don't need to wash hair as much." "Age is just a number, but various studies show that women are more concerned with their hair thinning than they are any other age-related change in their appearance," says Luke Hersheson, creative director and co-founder of Hershesons. "In reality, women start to lose a little hair density from around the age of 20, though they might not notice it until 40 or so. Sebum production starts to take a nosedive, which results in dry and unruly hair. Essentially, with age, hair becomes thinner, drier and less elastic, and the diameter of each individual strand can decrease until the follicle stops producing hair altogether. Hershesons tape extensions can be used to create fuller, thicker hair. The tapes last up to eight weeks and the hair can be reused up to three times." "The best way to make volume last all day is by using the right products, they can make a big difference" suggests Percival. "Start with a volumising shampoo and conditioner, then apply five pumps of Percy & Reed's Volumising No Oil Oil for Fine Hair (£15) and a golf ball size of Percy & Reed's Up, Up and Away Root Lift Mousse (£15) to towel dried hair. When blow-drying your hair, be sure to make sure you are lifting your hair at the root as you dry each section. If you struggle using a round brush and a hairdryer, try using the Babyliss Big Hair Styler. 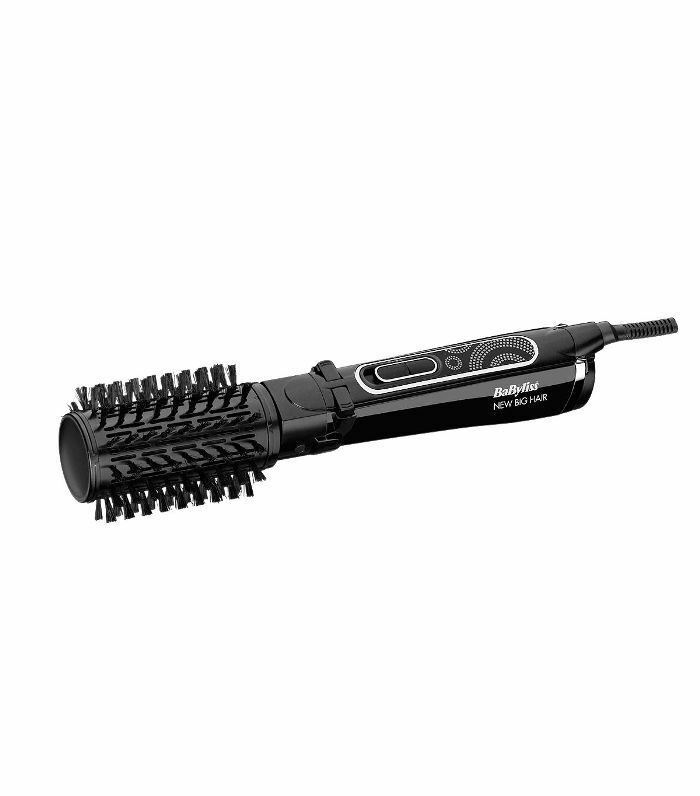 It's a spinning round brush with the dryer built in and it's a great way to get instant volume." "Many women find going grey disconcerting, as the hair changes both colour and texture. Very few people find their hair goes white, but instead, it often can change to a dirty grey and hair becomes coarser. Where hair before had been manageable to style it may now become unruly," says Percival. "Use a hair oil regularly to smooth and control hair whilst also adding shine. Hair masks like our Totally Hydrating TLC Mask (£22) are also fantastic, as ageing hair often lacks this shine, so you want to give the hair a great moisture boost. Ageing hair can still look young and healthy so long as it's hydrated and glossy." "There's a myth that women over 40 or older need to have short hair, which I personally think is rubbish," says Sam Burnett, owner and creative director of Hare & Bone. "Hair length and style should always be about suitability, so instead, consult a stylist through a consultation to see what is best to suit your face shape, hair type and bone structure. There are also lots of tricks that will help open up the eye sockets to help make your eyes appear bigger, to strengthen your cheekbones and elongate your face. I would say fringes are very useful. If someone is looking for a new style or looking to update their current hairstyle, then a fringe is a really good way of making it looks more youthful and modern." "As we get older, our skin tends to lose some warmth colour, so it's good to introduce some warmer colour into the hair. So, for example, instead of going for an ashy blonde, go for something more creamier, which is a bit softer but still really bright and illuminating. If you currently have white hair, start introducing something softer and golden tones. It's more youthful to reflect the hair and encourage the hair to look more voluminous, which is usually an issue with women over 40, as they find their hair lacks the fullness it used to have when they were younger," says Burnett. "Brunettes can consider going a shade lighter. If you put dark hair next to the skin, it can be very ageing and can wash out the skin. Brunettes should consider putting in some warm highlights or caramel tones into the hair, which will brighten everything up." "There are lots of products and supplements which can help with ageing hair. Viviscal is a great product to start using in your 40s. 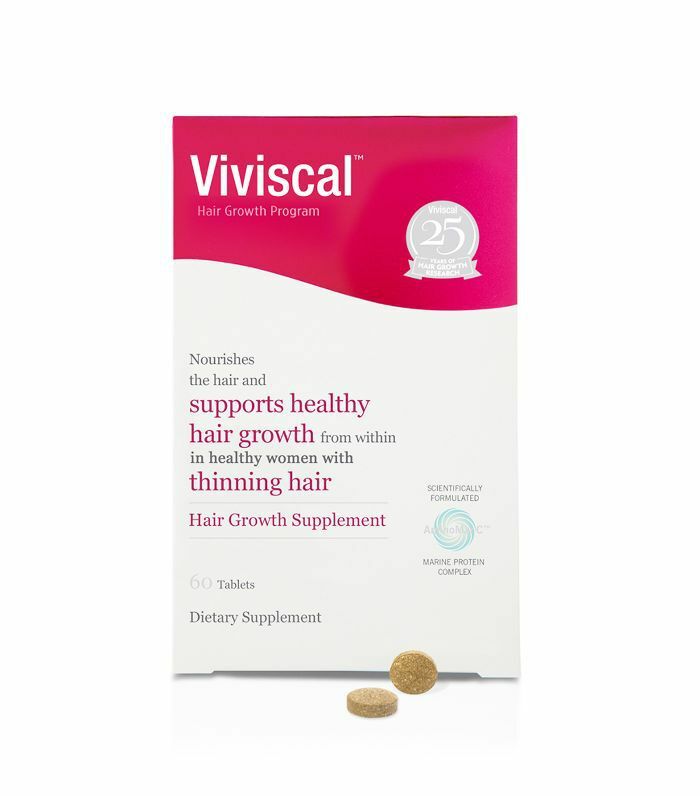 Even if you do not have an issue with thinning hair, Viviscal Max Strength Supplements (£52) will introduce all the vitamins and ingredients into your body to help achieve thicker and fuller hair. These will encourage healthy hair growth, which will help with youthfulness," says Burnett. "Grey hair—whether you dye it or leave it natural—can become coarser, so it's worth considering a keratin treatment if your hair is becoming coarse and unruly. A keratin smooth will help to create a healthier and smooth hair surface which should be easier to control," according to Burnett. “Want to know what is guaranteed to age you instantly? Flat, limp and lifeless locks! By adding texture and volume, you're instantly making your hair appear fuller and thereby more youthful. 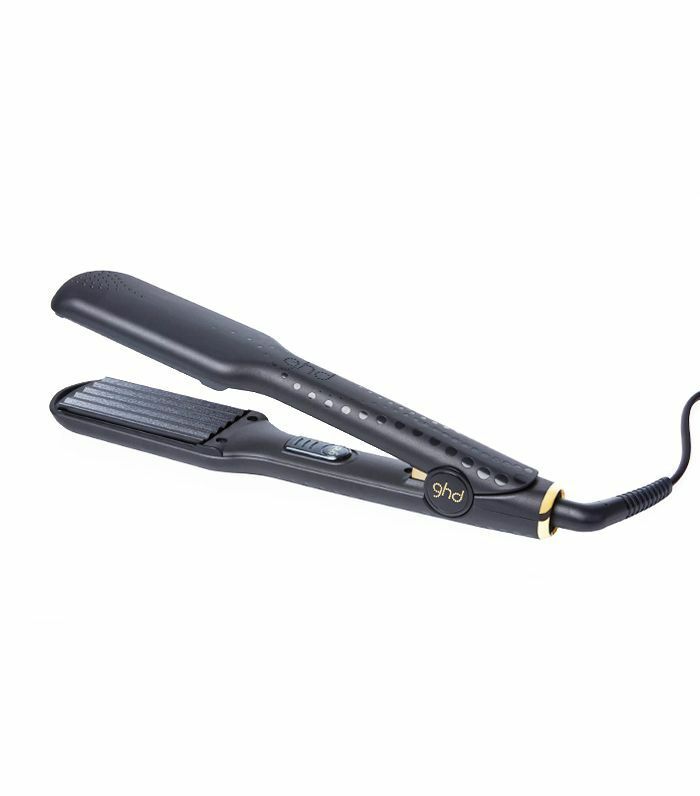 Create hidden volume and swelling in the root area of the hair using the GHD Contour Hair Crimper (£95). Choose the exact areas that need height or definition and just 'swell' those areas of hair using the crimper. The crimped hair will remain hidden but the hair will be swollen and volumised," says Reed.